Colby Covington Followed Dana White To Palms Resort Casino To Ask “Why He Doesn’t Fight For The Belt This Weekend”! Colby Covington won UFC Welterweight Interim title after a unanimous decision win over Rafael dos Anjos at UFC 225, on June 9, 2018. “Chaos” was in friendly relations with UFC president Dana White, as the two went to White House together. Colby was set to meet Tyron Woodley at UFC 228, but he was forced to withdraw due to nasal surgery. UFC stripped him of the title and replaced by Darren Till. But then the drama escalated. Colby agreed to fight Tyron Woodley at UFC 235, but the promotion favored Kamaru Usman, citing his “dominant win over Rafael dos Anjos and readiness to fight anytime”. The former Interim 170-pound champion was angry and heavily criticized Dana White. Covington then threatened to sue UFC. 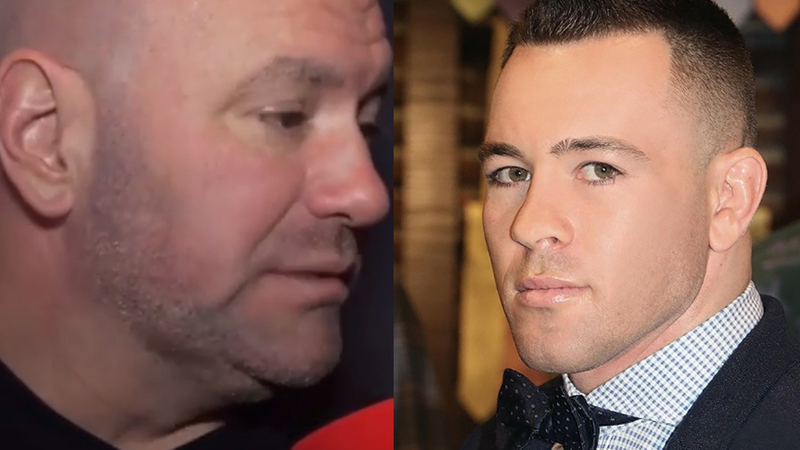 But Colby Covington (14-1 MMA, 9-1 UFC) went even one step further, as he followed Dana White to the Palms Casino Resort, where the UFC president was gambling. Colby pointed the camera towards the UFC boss and demanded answers. Dana White was obviously frustrated and asked from Covington to stop filming. “Common bro, I wanna explanation man,” Colby repeated. Then another voice said “no cameras”, and Colby Covington moved his phone away. Here is another video, filmed outside of Palms Casino Resort, where Covington claimed he stood next to Dana White’s car. Did Colby Covington make you laugh? What an epic way to demand answers!